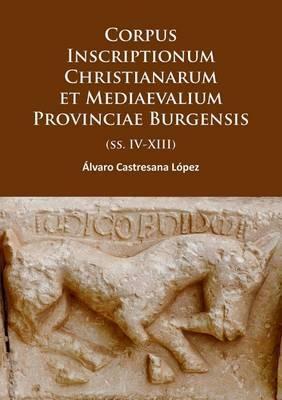 Information regarding epigraphy, both early Christian and medieval, in the province of Burgos was scarce and spread around in inaccessible publications. This Corpus contains and analyses all entries between IV and XIII centuries, located in the province of Burgos in various monuments like Quintanilla de las Vinas, San Pedro de Arlanza, Santo Domingo de Silos, The Real Huelgas, Burgos Cathedral, etc. To this end, starting from a review of the bibliography which has been published, a detailed fieldwork was performed resulting in the collection of 326 entries, 45 of which have never been published before, providing new and corrected readings to many of them. Indeed, the description of each item; its edition, both epigraphic and paleographic; its translation; the metric study of the inscriptions; its historical context; the paleographic study of its characters and analysis of the literary texts, All of that gives the ability to specify many dates in history of the creation of the corresponding monuments the inscriptions are part of, and the recognition of numerous analogies among several of these constructions. Therefore, this work stands as a valuable landmark and touchstone for the fields of History, Art and Medieval Studies."